Wouldn’t you like to be able to extend an offer to a shopper to nudge them into making a purchase on your website just at the right moment? But at the same time, not have to discount prices for those who are likely to pay full price without an incentive? Fanplayr attempts to do this selectively and “intelligently” so merchants don’t have to treat each visitor the same. 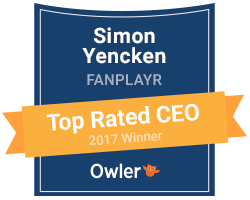 Fanplayr launched a new “Smart & Targeted Conversions” platform that analyzes visitor traffic to determine those who are most likely to convert to customers with personalized purchase offers and incentives. Currently available for online sellers using Magento, Fanplayr’s platform determines the optimal timing, value and target for purchase incentives and delivers those incentives in real time, leading to improved visitor conversion rates and increased average order values. One merchant who deployed the new platform on its Magento website Barebonesworkwear.com saw increases in conversion rates and average order value (AOV). Fanplayr said Barebonesworkwear offers every day discount prices, so it offers purchase incentives selectively by targeting specific segments. Fanplayr charges merchants only on orders that redeem a Fanplayr offer – see details on the Fanplayr website.